Explain boilers speaks to what is a boiler and how does a boiler work. The purpose of the boilers information is to provide information of heating water, for the various building mechanical system components. It allows heat to be transferred from the primary fuel, gas, oil, coal and electricity. The heating water is circulated to the various zones to maintain comfortable ambient conditions. 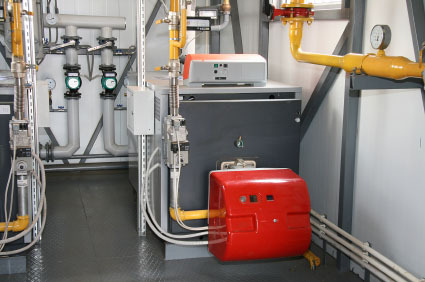 Primary and secondary heating water pumps. Cabinet hot water unit heaters.